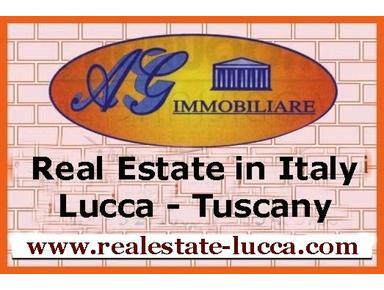 Our Agency mainly operates in the province of Lucca, but it expands its trade to the rest of Tuscany. We sell typical Tuscan farmhouses, cottages and individual houses in the country and in the hills, moderns and historical villas, apartments in charming historical centre and close the city, prestige properties. We are specialized in property search and sales for foreign clients as well as post-sales services. We look forward to assisting you in your search for a home in Tuscany.